Heat oven to 400 degrees. 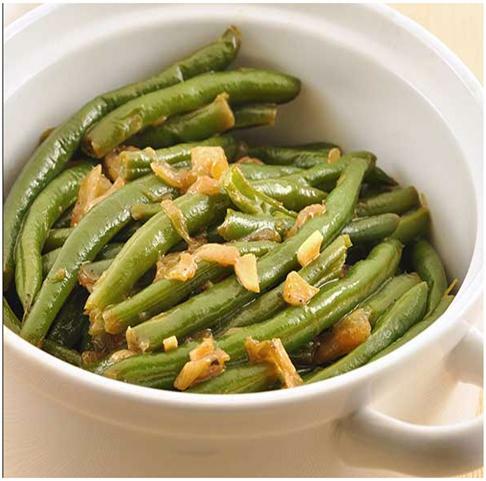 Spread green beans on a baking sheet, drizzle with olive oil and toss to coat evenly. Sprinkle lightly with salt and pepper. Place in oven and roast beans until tender and starting to brown. Part way through cooking, sprinkle with garlic and toss again. Return to oven. When done, remove from oven, drizzle with balsamic vinegar and serve hot or at room temperature. This recipe can also be used with carrots or asparagus.